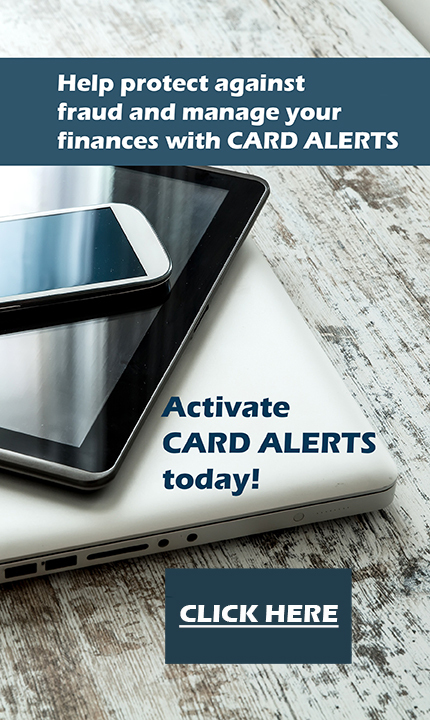 Haskell National Bank now offers a Card Alert Service for debit cards obtained from us. Click on the link in the banner to view the website where you can learn more about the service and register for it. Once your service is activated, you can also manage your alert settings on the same website.